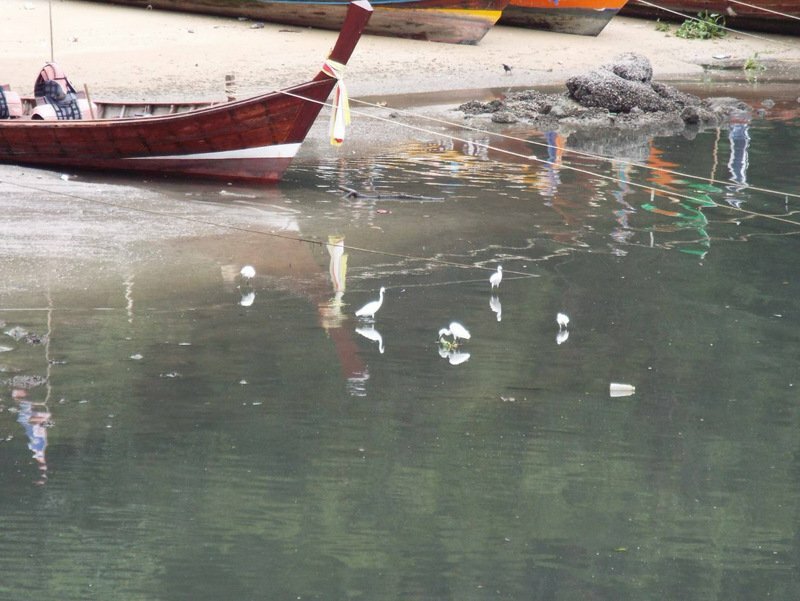 PHUKET: Phuket Governor Norraphat Plodthong has approved an emergency budget of B4 million for Patong Municipality to clear the filthy debris from the Pakbang Canal, which runs through Phuket’s busiest tourism town. 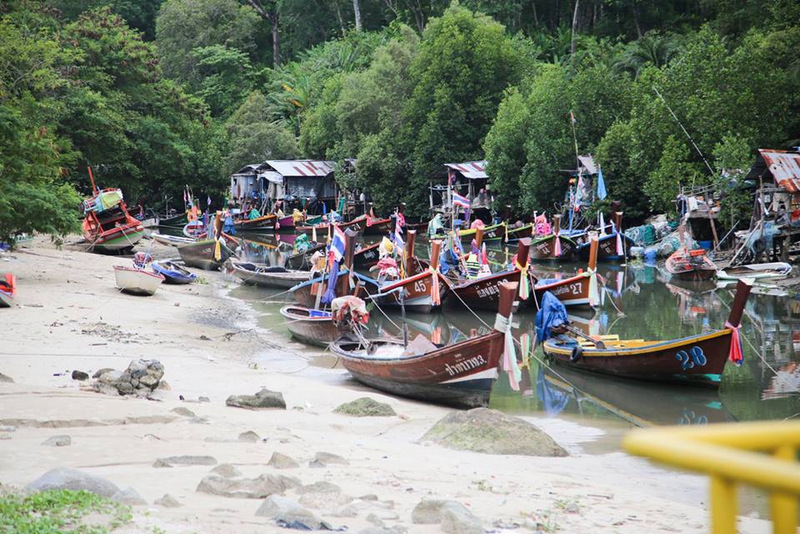 The canal, although only a small waterway, is also used as the main dumping point for untreated wastewater by businesses through Patong. 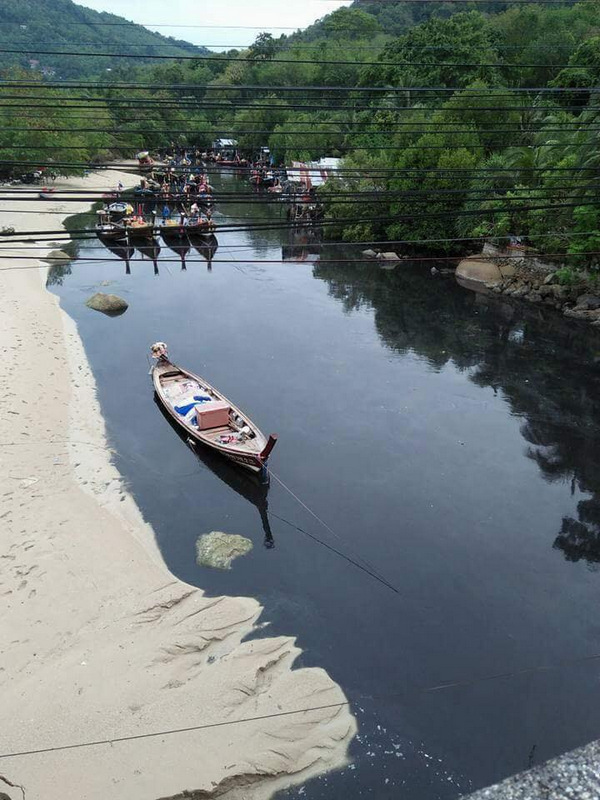 Governor Norraphat announced the budget yesterday (April 25) after an inspection of the black water emptying from the Pakbang Canal into Patong Bay. The emergency budget also follows a formal request for help from Patong Mayor Chalermluck Kepsub that she sent to Governor Norraphat on March 14. 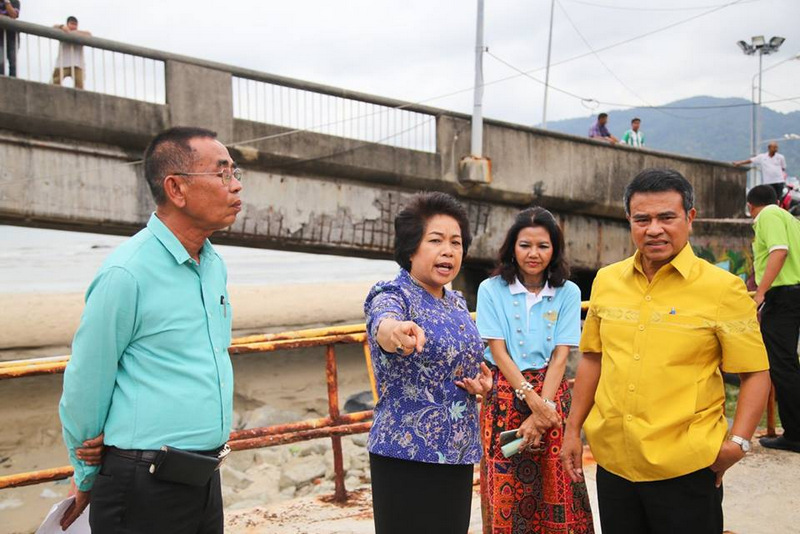 Mayor Chalermluck pointed out that Patong Municipality had been waiting for the Phuket Provincial Public Works Office to carry out the canal-clearing project since 2016. “Patong Municipality officials must find a way to have the sludge removed from the canal because it affects Patong residents and tourists. This canal must restored (to its natural condition) as fast as possible,” Mayor Chalermluck wrote in her appeal for action finally to be taken. 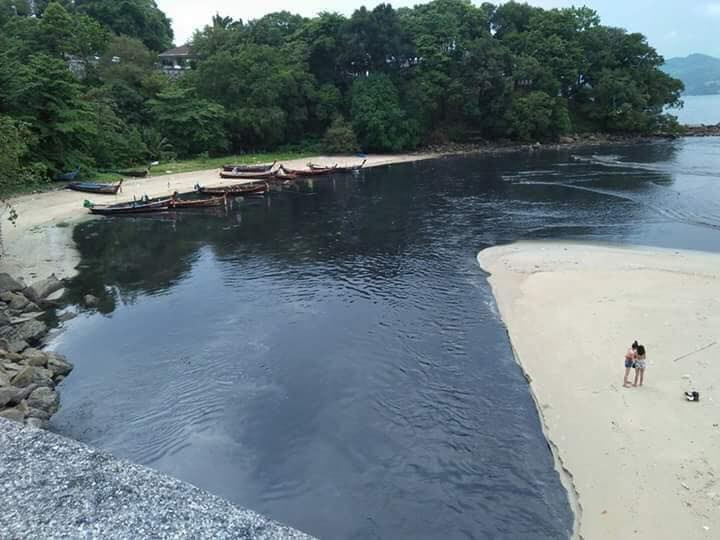 “It has been more than long enough for the Phuket Provincial Public Works Office to finish their draft plan, and as a result this canal has not been dredged for two years, so now it is necessary to submit this letter requesting to have the canal dredged as soon as possible,” she added. “This problem has been going on for a long time. I am aware that canal always fills up with sediment, but that the project has not yet been carried out. 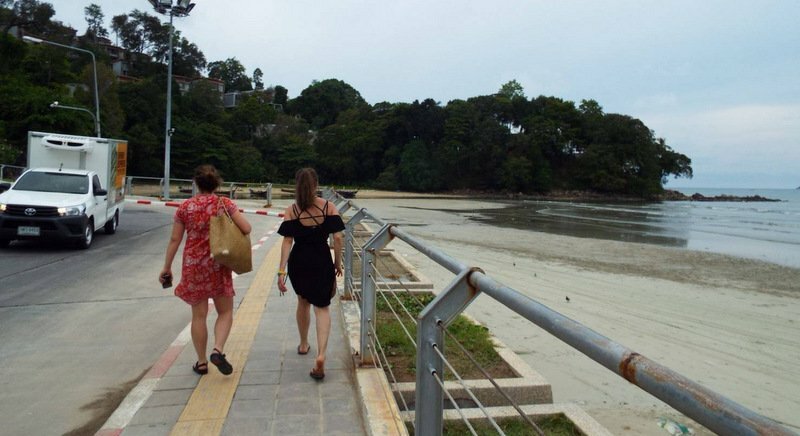 This project is the responsibility of the Phuket Provincial Public Works Office, which has received a budget of about B398 million, which includes the funds to dredge the canal,” he said. “Not having this project affects Patong Municipality, and the consequences (of not having the porject completed) seriously affect our tourism image, which means we to solve this problem. 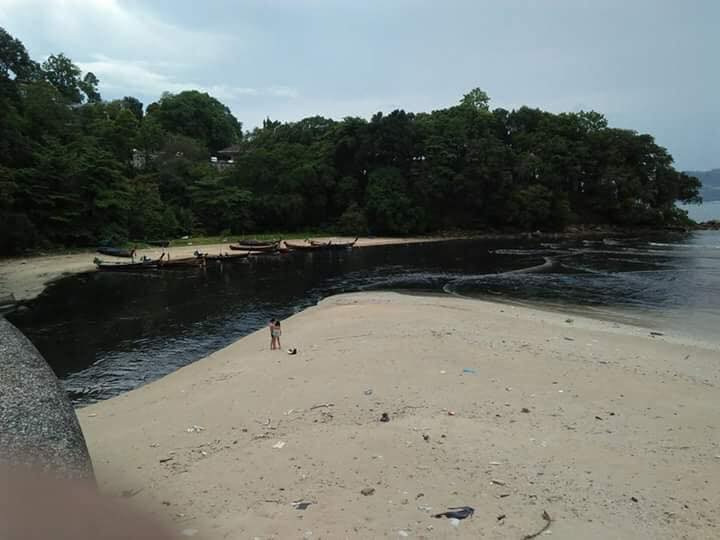 It is fair for me to allow a B4million to dredge this canal,” the Governor concluded. Gov Norraphat added that he would today (April 26) consult with the contractor who was commissioned in 2016 to carry out the project. 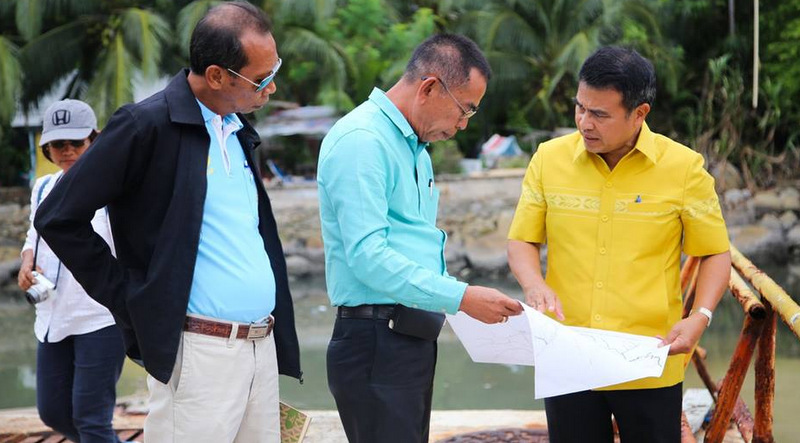 “I have been told that only 1% of the work agreed to in the contract has been completed because the contractor’s workers cannot even access the canal,” he said, alluding to the over-saturated state of construction throughout Patong. 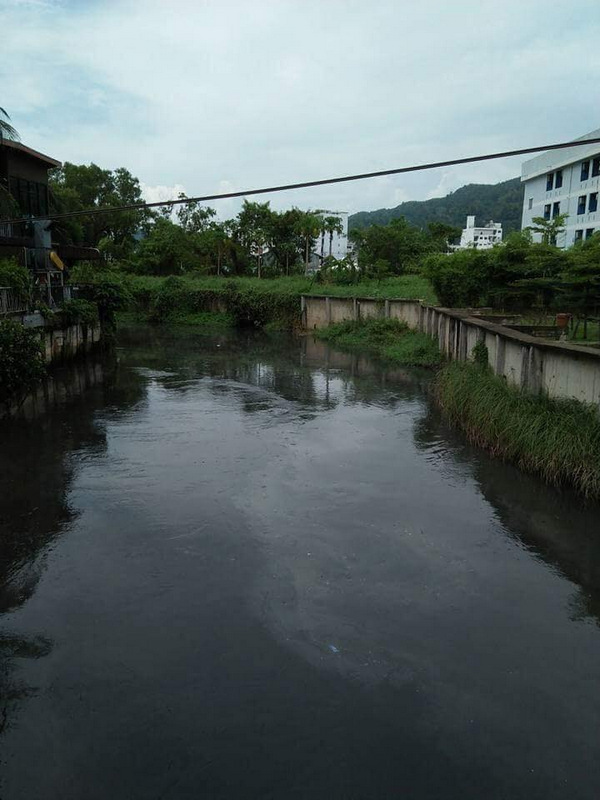 However, no mention was made of a Facebook post on Tuesday highlighting black wastewater pouring into Patong Bay again, and the foul water exiting a pipe where the Pakbang Canal empties into Patong Bay. Dredging a black water canal but not stopping the polluters is the same as mopping a floor but not repair a leaking tap. Phuket Public Works already got B398 million, partly mend for canals dredging, why was that not done? Where did the money go? They only 'drafted planning' 2 years! And while no money spend on canal dredging, now another B4 million for it? No need to look for foreign experts any longer.They only have to contact Mr.K. on this site.With over hundred years of experience he will solve this matter in no time.Furthermore he can solve every problem,doesn't matter if it's a problem at sea,on land or in the air. There's an "emergency budget" available to the governor? Just how much more is there? Could this budget have been used for the life guard situation? Or, the other wastewater problems on other beaches? Canals sediment is not black water pollution. 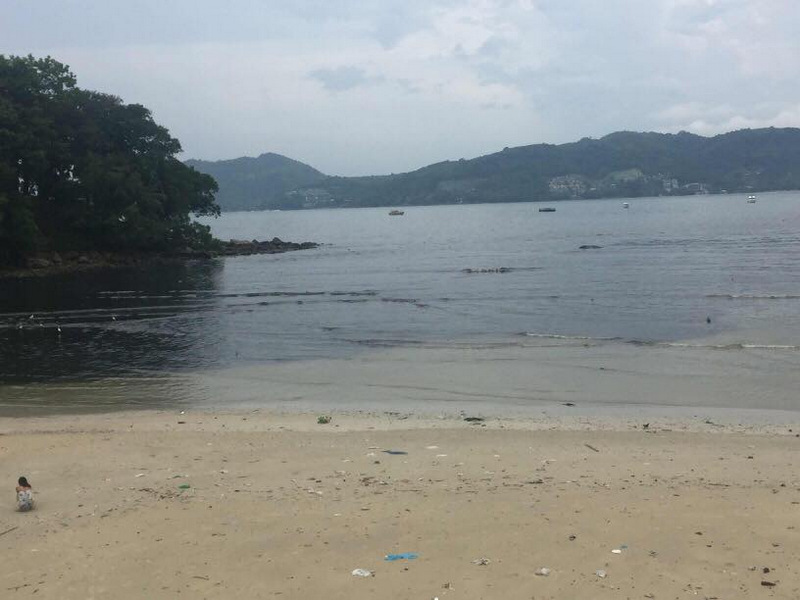 It's the pollution Phuket Authorities not know to handle, at EVERY beach! Removing sludge ( not sediment!) is not stopping pollution. Stop pollution by blocking the polluters! Is that to SMART thinking to understand by thai officials? Hopeless people, bla bla and finger pointing the same as before.